Red River Resources’ development at its Thalanga copper-lead-zinc operations in northern Queensland has delivered recoveries that have exceeded expectations. The metallurgical performance of development ore through the mill at Thalanga’s second underground mine, Far West, has been “outstanding”, with recoveries and concentrate grades in line with, or in most cases, significantly greater than the estimates used in the restart study. 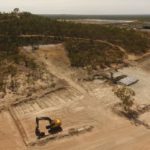 They included copper recovery of 84.4 per cent to a concentrate grading of 26 per cent copper; lead recovery of 79.9 per cent to a concentrate grading 70.1 per cent lead; and zinc recovery of 89.2 per cent to a concentrate grading 59.3 per cent zinc. The base metals producer has processed more than 7500 tonnes of development ore within three weeks between February and March this year. 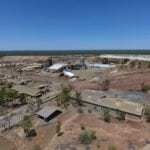 Red River will process further development ore through its plant and is on track to commence production from Far West stopes in the third quarter of 2019. It is also set to increase underground development rates by mobilising a second drill jumbo next month. 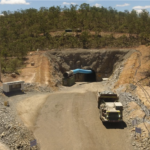 Mine development in ore drives and the decline will continue as a normal course of operational activities, according to Red River in an ASX statement. Red River commenced production at Thalanga in September 2017 following its restart earlier in the year when zinc prices were reaching their 10-year highs. The operations were placed under care and maintenance by its previous owners in 2012. 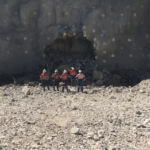 The Melbourne-headquartered company is now focused on lifting plant throughput and extending mine life through increasing mineral resources and ore reserves at deposits currently in the mine plan, including at Far West.